Sydney, Australia — February 13, 2018 — Esker, a worldwide leader in document process automation solutions and pioneer in cloud computing, today announced it is working with HEINEKEN Spain, the leading developer and marketer of premium beer and cider brands including Heineken®, Cruzcampo, Amstel and Buckler, to automate its order management process. HEINEKEN was looking to improve customer response times, reduce manual handling of errors and increase visibility over orders received via all channels. Within a few months of implementing Esker’s Order Processing automation solution, HEINEKEN was able to significantly accelerate its order management process by reducing the average time to process an order from 170 to 30 seconds (five times faster). HEINEKEN receives an annual volume of more than 40,000 orders via fax and email. Thanks to Esker’s machine-learning capabilities and intelligent image-recognition technology, HEINEKEN’s Customer Service Representatives (CSRs) are able to process orders without any human intervention. After just three months of solution implementation, over 50 percent of orders were fully automated without needing user validation. Today, 74 percent of orders are validated with no changes required. Esker’s solution extracts all order data (e.g., customer numbers, product codes, quantities, ship to addresses, etc.) and automatically matches it with HEINEKEN’s master data. Once read, interpreted and validated, the order is sent to HEINEKEN’s SAP® system. Orders are automatically split by product type and multiple orders are created in SAP for one order document. Order data metrics are visible on the dashboard homepage, resulting in greater visibility to the work carried out by the customer service team. Esker is already working on several enhancements to enable HEINEKEN to deliver increased value to its customers, including dispatch advice, invoicing and managed returns. HEINEKEN is also interested in automating its Electronic Data Interchange (EDI) orders with Esker to achieve 100 percent visibility over all order reception channels. HEINEKEN Spain is a subsidiary of HEINEKEN, the world’s most international brewer and leading developer and marketer of premium beer and cider brands. 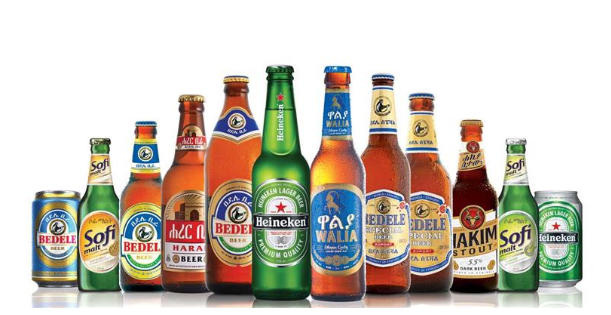 Led by the Heineken® brand, the Group has a portfolio of more than 250 international, regional, local and specialty beers and ciders. The company is committed to innovation, long-term brand investment, disciplined sales execution and focused cost management. HEINEKEN Spain has more than 110 years of history in Spain and four factories located in Madrid, Valencia, Seville and Jaen where more than 10 million hectoliters of beer were produced in 2016. Through “Brewing a Better World,” sustainability is embedded in the business and delivers value for all stakeholders. HEINEKEN has a well-balanced geographic footprint with leadership positions in both developed and developing markets. It employs over 80,000 employees and operates breweries, malteries, cider plants and other production facilities in more than 70 countries. Heineken N.V. and Heineken Holding N.V. shares trade on the Euronext in Amsterdam.